Had a fabulous time at Eileen Godwin's workshop on Saturday, saw old friends and made new ones - oh and crafted a bit too ! Made a couple of cards, one for me is still a work in progress but I absolutely loved making one which was made up of lots of different levels and so was called a collage card (currently posted as my FB cover photo) .........so much so that when looking at some recent stamp purchases from Honey Doo Crafts I decided to have a play along the same theme, thanks Eileen for the inspiration. 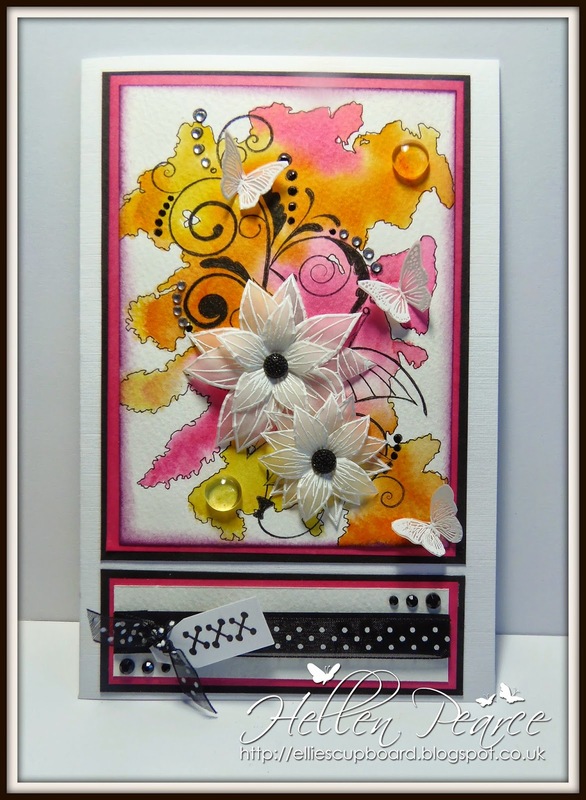 Made using 'Falling Flowers' stamp and butterflies cut from their 'Butterfly Border' stamp. Love the colours on this - my favourite mix Spiced Marmalade, Mustard Seed and Picked Raspberry. Made using 'Hearts a Flutter' stamp with flowers cut from the 'Falling Flowers' stamp and the Little B Hearts die set to make the easel frames. 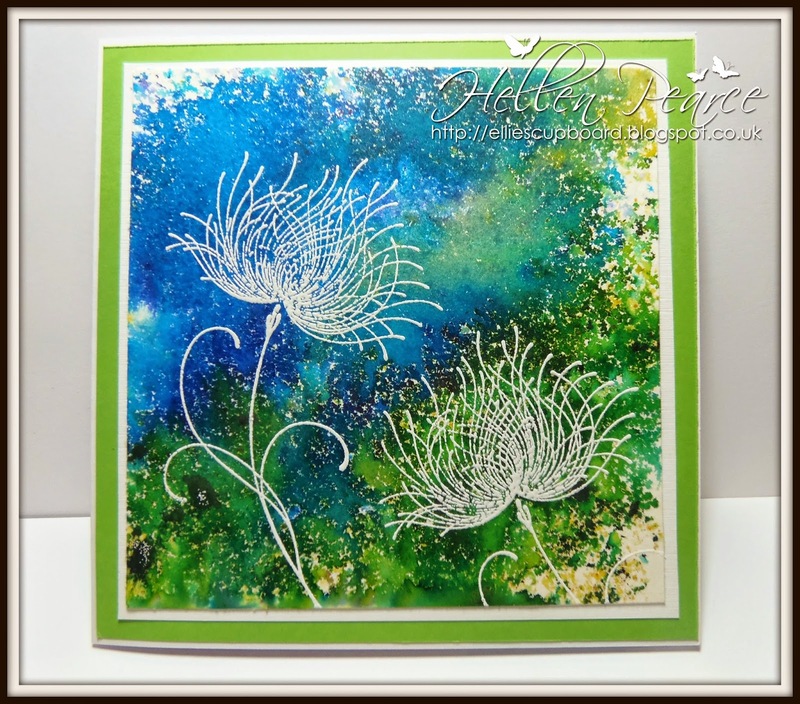 So, a couple of Honey Doos - great stamps to work with and so versatile as you can mix and match different elements if you want to or just use them as is - your choice. 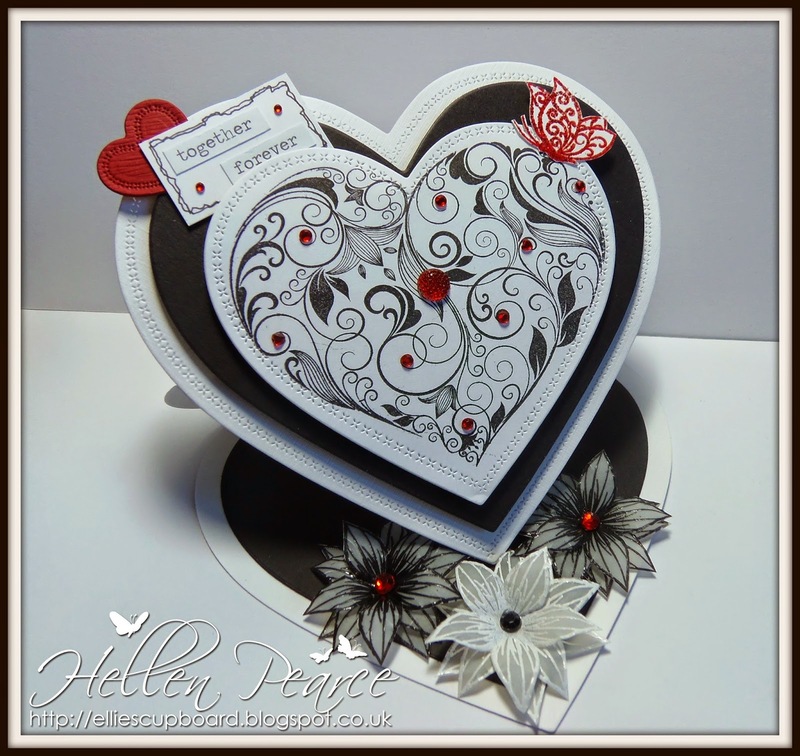 I was looking for some inspiration on my Little B Hearts die & found your card. It's gorgeous! 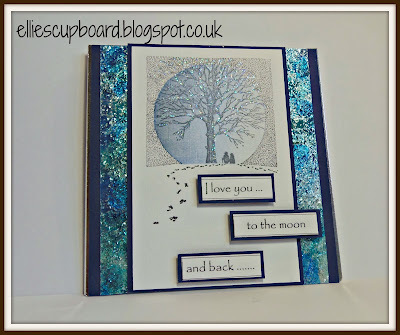 Honey Doo Crafts Blog Hop No 1 ! Welcome to the Honey Doo Crafts Blog Hop, this hop starts on Friday 8th June at 10am and closes at 8pm on the 12th June. The winner will be announced by Honey Doo and on Facebook on the 12th. All you have to do to claim your prize is email Honey Doo Crafts on Honeydoocrafts@gmail.comwith 'Winner of the June Hop' in the subject line. There's a special prize for the winner of a £10 gift voucher to spend on their website. The design team have done some fabulous work all you have to do is like and comment on each blog to try and win the above prize. It's a quick and simple card - because sometimes that's what we need to send encouragement in difficult times to someone we love. So many products on the market! Found this one the other week which is called Brusho, which is crystals of water colour which disperse out when you add water. So sorry I cannot find the lady who originally caught my eye on FB using them to give her credit but Eileen Godwin has been playing with them too with stunning results! Less is more with these things - you can get covered just opening the pot can't you Martine Smith! Here's another where I used less Brusho but then realised I should have stamped with black, hey ho it's a learning curve all the time and great fun practicing! The stamp is a Penny Black one called 'Dreamy' and I used Versamark and white embossing powder. Stamp and EP available from - Oyster Stamps, Rochester, Kent - Telephone 01634 686823 or Website http://www.oysterstamps.co.uk - Brushos arriving this week! On a roll now lol ! Busy time of year so cracking on as best I can..........here's one I've made for dearly beloved's birthday tomorrow (yes - last minute or what! ).